Many a times, you might have had a hard time planning a weekend. Just after a long week, you simply decide to have a weekend fuss and maybe you are the one organizing a party, then suddenly you get stuck without knowing how to plan it. Doesn’t that sound familiar to you? And don’t you really want to get rid of this hassle? 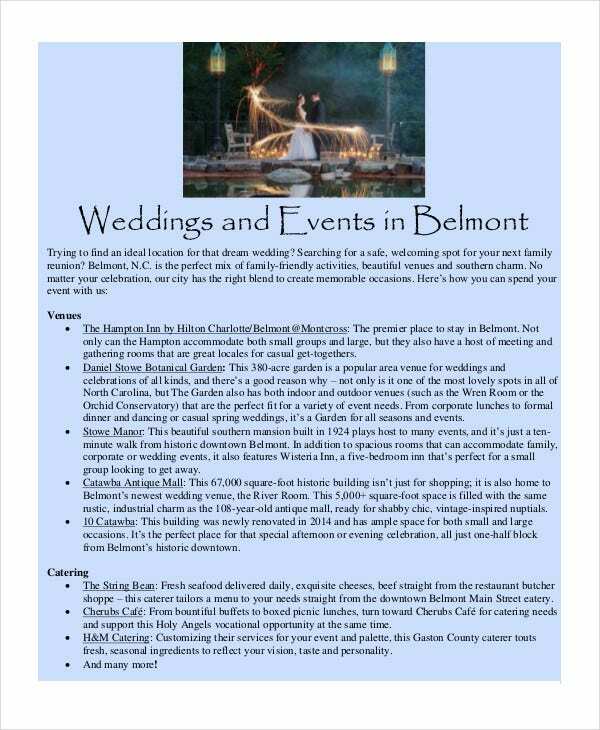 Weekend Itinerary Templates are designed as the perfect choice just to suit your celebratory spirit. You can choose pre-customized design templates for the various weekend events. These itinerary templates comes in handy as they are well prepared with creative ideas and time tested. Using these itinerary templates, planning is made easier and filled with lots of fun. Below you can access your favorite itinerary template from a wide variety of choices. 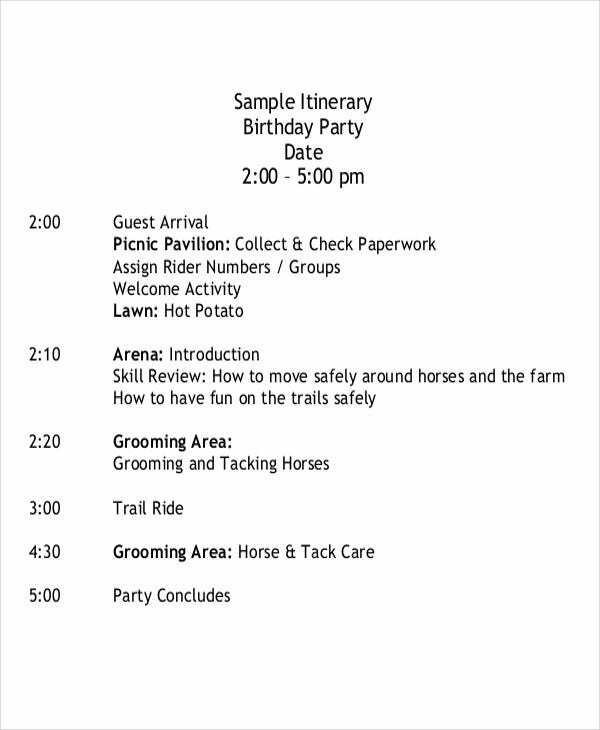 You can also see Party Itinerary Templates. A birthday is the most special day in the year for anyone and celebrating it can’t be stressed enough. A birthday weekend is the best way to make the day unforgettable. Plan this weekend party in the best festive manner using these itinerary templates.These are print ready as well as customizable! Weddings are the most expensively celebrated moments of someone’s life. There is no other event on earth so colorful and bright and one that is filled with everlasting joy. So making this occasion a giant celebration is no surprise. But the task of planning the wedding weekend falls into your hands, then get set to make the weekend enchanting with these easy to use, customizable, print ready design templates that provide a wide variety of ways of making it ceremonious and filled with surprises. By virtue, a party is meant for a special occasion and nonetheless important. For like minded people, partying is a habit and a source of fun. Organizing a party is an important aspect of life for them. It’s so crucial that they would look out for some easy short cuts to get rid of an effort consuming party planning process. 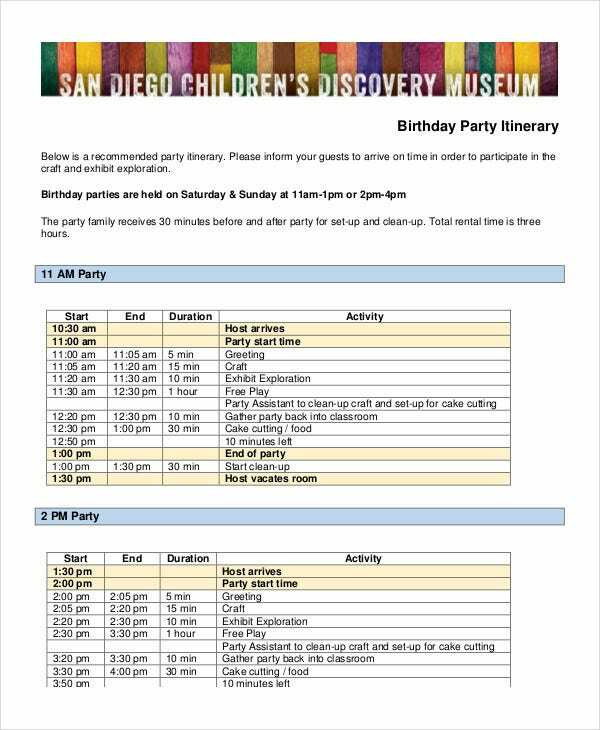 If you are one of those who are planning a party weekend, then use these simple itinerary template to guide your planning process in the perfect and most creative way ensuring nothing is missed out. Make sure you plan the perfect weekend for a bachelorette party with these itineraries. So simple it is to use that you could come out with a perfect plan within minutes. It is much easier that you will fall in love with planning weekend parties. What are you waiting for? Are you thinking of making a trip this weekend? And are you still thinking of a good plan to come up with? Then, we have got the ideal itinerary template for your dream travel with all necessary lists of things-to-do and must-have essentials. Have a look at these creatively carved weekend trip itinerary templates that match your touring spirit. Find out the best itinerary template that suits your trip and enjoy the most. 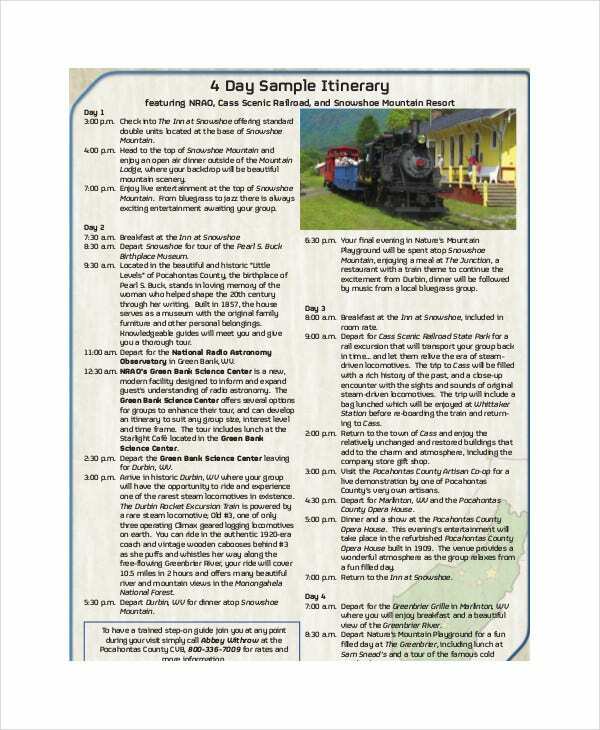 > Why have we prepared these Weekend Itinerary Templates for you? What are it’s Benefits? Thinking of a party is easy and popular but when you take the initiative to plan it, it is also common to stumble upon in the middle of the task. Planning is not easy. And planning well not at all. You may have to face some hurdles concerning the way of conducting the weekend party, the order and timing of each programme held in the party. Above all , ensuring nothing of significance is missed out will often keep you tensed. What’s more? Amazing your guests with surprises and festivities would also be on your agenda in the event. Considering all these facts, we have prepared unique and time tested weekend itinerary templates which has always been at a success rate of 99 per cent. All these templates are simple, easy to use, creative and a perfect suit to any occasion. You could even customize the itinerary templates to suit your taste. Have a look at these. > How to get or use these Weekend Itinerary Templates? 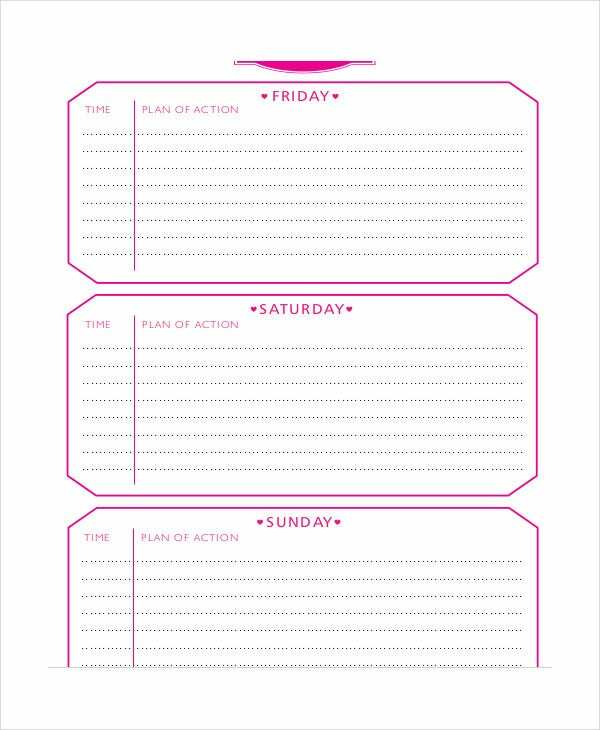 Using these weekend itinerary templates is very simple. All you have to do is select your favorite itinerary template from a wide pool and download it. The templates are downloadable in PDF file format as well as in docs file format. As soon as you download it, you could print the template without any further formatting as these are already prepared print ready documents. Furthermore, if you require any customization for your selected itinerary template, please feel free to request us. We would be ready at all times to fulfill your requirements to your delight. 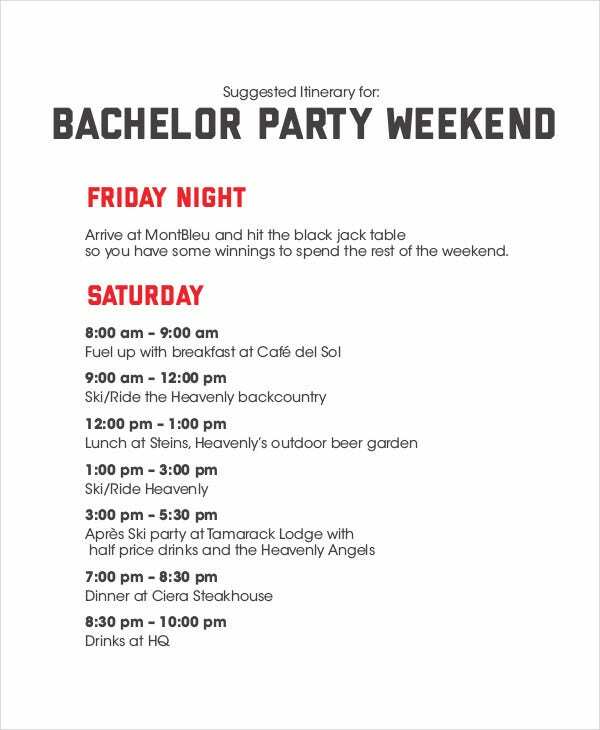 > For whom are these Weekend Itinerary Templates Prepared? These itinerary templates are made for anyone who is in the job of planning a weekend party right now. So, if you are the one taking efforts to organize a weekend party, then this one is for you. You could choose the different weekend itinerary templates that suits your weekend function from the the different categories given above. If you are looking for samples, we can provide them for you. You can also see Weekend Schedule Templates. When it comes to planning , many people just hesitate a bit. Many will be ready with the superb ideas and suggestions but none of them would pick up this hectic process unless they are unable to avoid such tasks. The next time you get a chance to plan a weekend party, don’t hesitate even for a single moment. All parts of this tedious process is already done for you through these event itinerary templates. You can get creatively woven design templates for each and every party of yours!